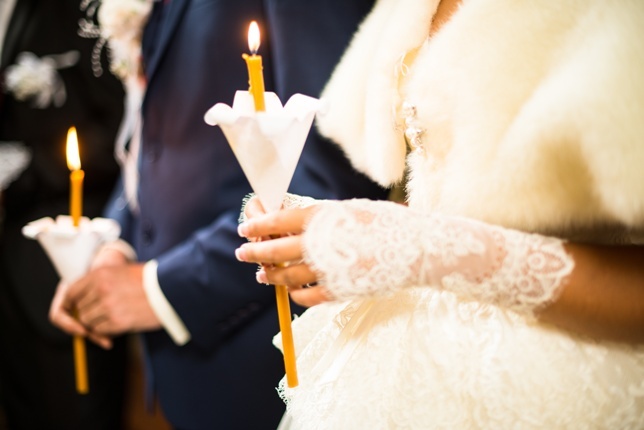 Whether you (and your spouse) are regular church goers or your decision to have a church wedding is based mostly on the vision you have in your head about your perfect wedding, doing your homework beforehand will save you a lot of time (and headaches). Take the time to visit the church you have chosen for your ceremony and enquire about all requirements or restrictions they may have. Ask for guidelines, talk to the church wedding coordinator (and the pastor) and have everything cleared out before you make the final decision. In most church ceremonies, it is the groom that’s waiting for you (together with the officiant) to gracefully enter the church in all your glamour and whiteness (or ivory-ness if you wish). If you have agreed that the ceremony starts at 18:00 (for example), 17:55 is not the time to adjust your lipstick or have a quick go to the restroom because you’ve had too much prep Champaign. Besides, it is basically considered rude to arrive late for a wedding church ceremony. Especially if it is your own. After all, you don’t want the groom to decide you’ve changed your mind in the last minute, right? Although it may sound obvious, there are many brides who simply panic when they get on the isle so they keep a close eye on their (fabulous) shoes during the whole walk down the isle. We know there are petals on the way and you are worried if your dress is going to get hooked on some part of the church decoration, but throwing some graceful looks at your wedding guests or (preferably) fixing your gaze on the groom makes all the difference. Not only to him, that is – it will look way better on the video as well. Just saying. When the time comes for you to make that promise about eternal love, be sure you are facing your spouse. We’re not talking about just turning your head to one another. Step back and turn your whole body when you execute this very special (and important) part of the wedding ceremony. This will give you not one, not two, but three advantages: 1st, you will feel the moment in its purest form, 2nd, your wedding guests will have a better view of what’s going on, and 3rd, it looks better on camera. Again, just saying.